Many experienced land managers consider soybeans to be the best crop to grow in their plots. Soybeans can provide a high quality food source to the deer on your property for the majority of the year. 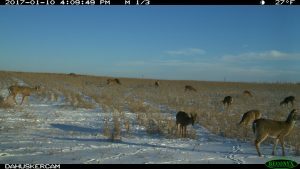 Deer will start browsing on soybeans as soon as they germinate and continue feeding on them through the entire growing season. 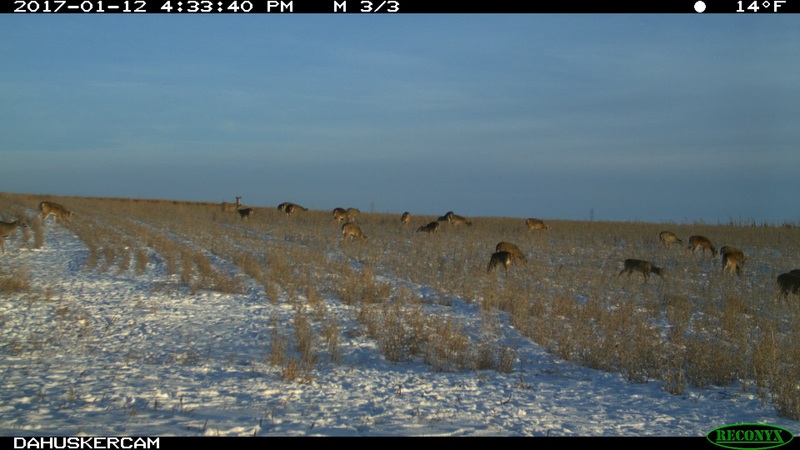 Once the soybean plants have matured, deer will feed off the soybean grain inside the pods. Forage Soybeans? Dare to Compare! All soybeans are not the same however. 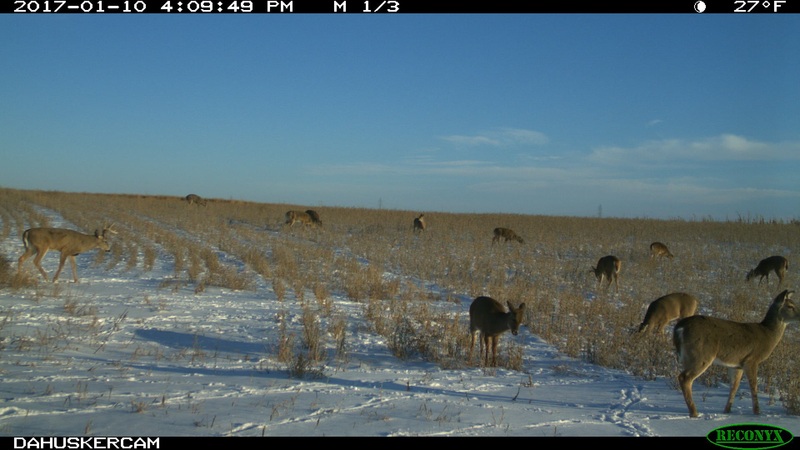 Forage soybeans have been hyped as something special for deer plots but testing has proven that forage soybeans do not have the same level of protein and other key nutrients as Real World soybeans. This has been shown in multiple side-by-side tests where tissue samples were analyzed at independent labs. Furthermore forage soybeans do not have the grain production of Real World soybeans, in fact forage soybeans have a longer growing season and in some areas they will not even mature and produce any grain at all. If you are planting forage soybeans in your food plots we challenge you to buy 1 bag of Real World soybeans and plant them side-by-side. There is no better way to see first-hand which soybean is best on your property. Don’t you really want to be planting the best? Dare to Compare! 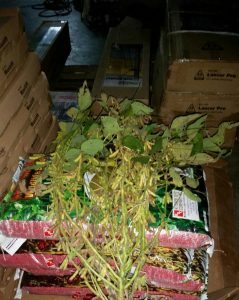 Picture Left: Real World Wildlife Products dealer Rueben Ropp of Ropps Fur Buying in Jamesport, Missouri sent us this photo of a Real World soybean plant that he randomly pulled from one of his plots. Rueben reports the plants were “shoulder high” and this particular plant has 560 bean pods! 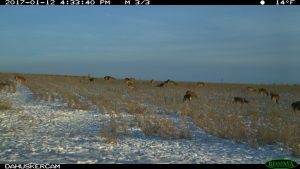 -They produce a tremendous amount of forage and grain to feed your deer throughout the entire hunting season. Forage soybeans often die and provide nothing after the first frost. 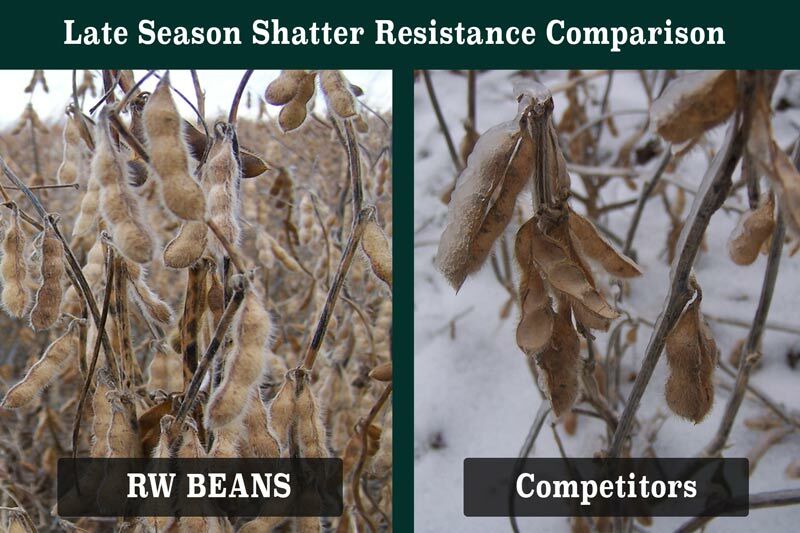 – They are shatter resistant, meaning the soybean grain will stay within the pods where deer can readily consume it. Real World soybeans are also “glyphosate tolerant” meaning that you can spray glyphosate herbicide right over the top of your soybean plots to keep them weed free. Glyphosate is an easy-to-acquire, over-the-counter herbicide that will kill weeds but not harm your Real World soybean plants.